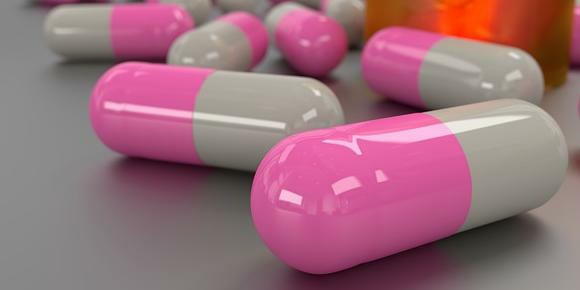 Anti-biotics are very often prescribed by medical doctors to fight colds, flu and other bacterial infections and are actually one of the most used prescription drugs in the United States. 'Anti-biotic' can be defined as “a medicine that inhibits the growth of or destroys microorganisms”. They can be very useful and affective at killing viruses and acute infections that the body may come in contact with. But even with their efficiency, in no way should antibiotics be overused. The overuse of antibiotics has the potential to create antibiotic resistant bacteria, which can be very hard to kill. Another issue with overusing antibiotics is that they kill the good germs along with the harmful infectious ones. Everyone has good germs or micro bacteria located in their gut that helps with keeping them healthy and regulating certain levels within the body. Antibiotics can have harmful side effects concerning your gut microbiome; destroying too many healthy bacterias can cause an imbalance in your gut and may cause the bad bacteria to overgrow which leads to other problems. Etymology: Anti- an English word meaning “against”. Biotic, stemming from the Greek word “biōtikos" which means “fit for life” or “life”. Judging by the etymological history of the word antibiotics, it means “anti-life”, and that’s exactly what antibiotics do. When prescribed, they kill the microorganisms in your gut, without a differentiation between good and infectious, causing serious imbalances in microbiome. Probiotics, on the opposite end of the spectrum, are not used to kill infectious bacteria, or anything for that matter. They are strains of bacteria that are beneficial to our guts. Probiotics can be found in different foods, like those that have been fermented, and can also be taken in supplement form. Probiotics can be used to restore a healthy gut flora, they also aid the body in producing its very own healthy bacteria. A healthy gut means a numerous amount of other health benefits. Probiotics can be one of the biggest aids in gut health. In no way should probiotics be used as a replacement for antibiotics (or vice versa). Antibiotics have an established spot in medicine and probiotics would not be adequate enough to perform its functions. An excellent time to consume probiotics would be after finishing a prescription of antibiotics, to ensure that the balance in your gut is restored. Etymology: pro - a prefix word meaning "forward, forth or toward the front". Biotic is still the same in this case, meaning "life". Judging by the etymological meaning of the word probiotic, is seems to be more in favor of "life" instead of against it.